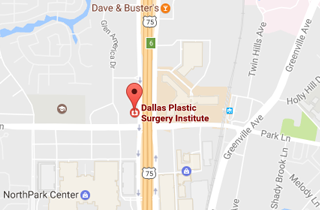 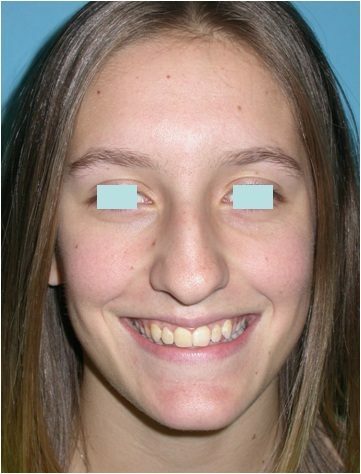 The patient is a 21 year old woman with significant breathing problems and cosmetic concerns regarding her nose. 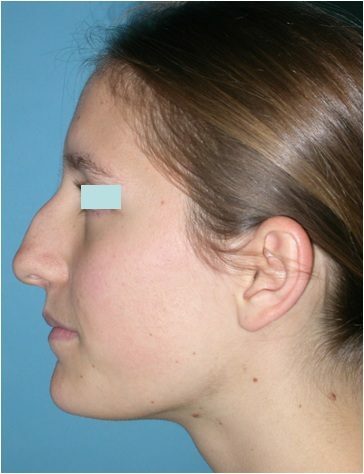 She underwent an open rhinoplasty which is a small incision between the nostrils with incisions inside the nose with a septoplasty to help her breathing. 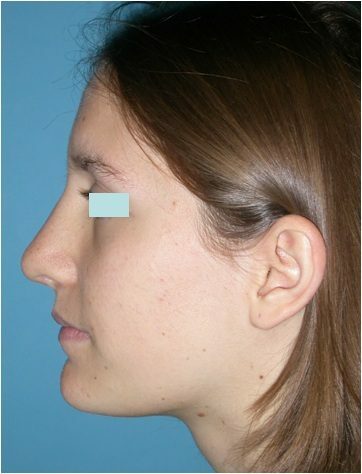 Multiple cartilage grafts were also placed in her nose to help her breathing, and the excess bone and cartilage making up the large hump on her nose was removed. 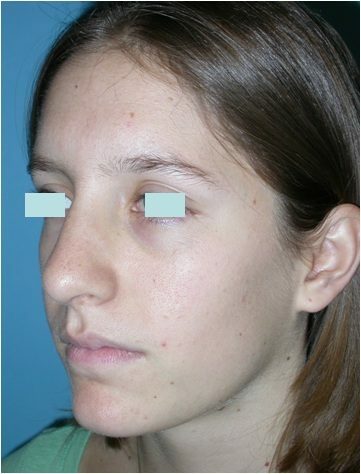 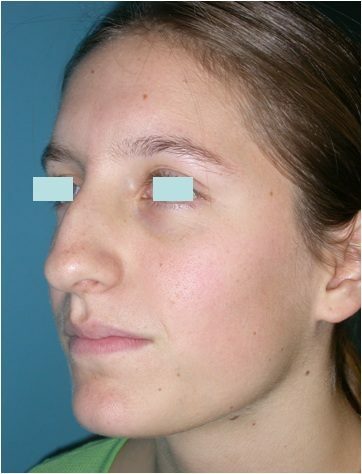 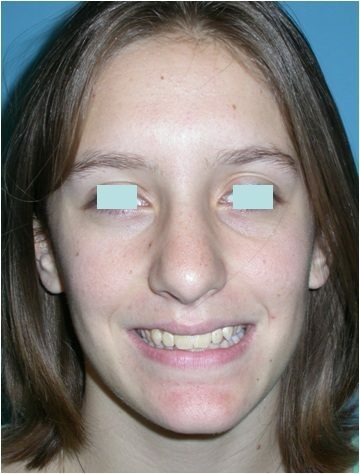 She is seen three months after surgery with significant improvements in breathing, as well as with a dramatic transformation in her nasal appearance.